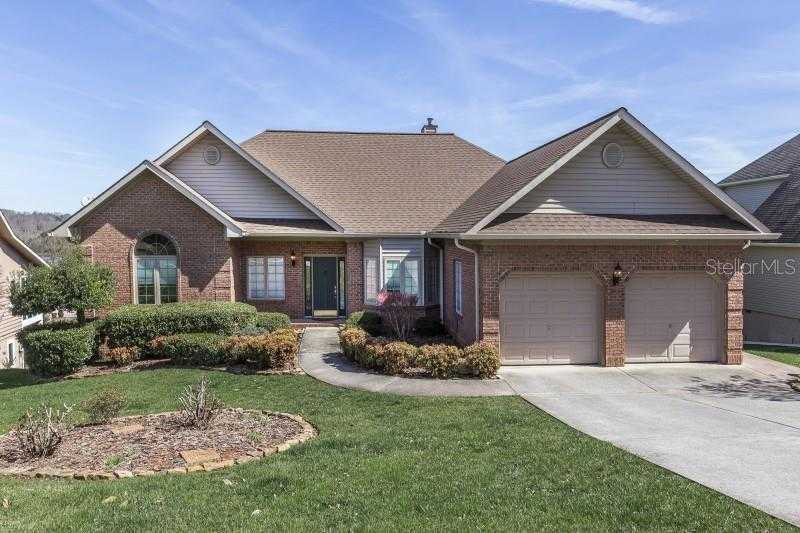 Strategically located on Toqua Golf Course’s 4th hole within 2 miles of Tellico Village Wellness Center with it’s heated indoor pool. Living room/dining room with spectacular views through new Pella four panel sliding glass door. Door with new Hunter Douglas remote controlled blinds. Expansive rear deck and screen porch with stunning mountain, lake, and golf course views. Stainless steel appliances. Quartz countertops. Pella windows. 2 gas fireplaces. Jacuzzi. Large recreation room and spacious den/TV room with wet bar downstairs. 13; New 120 gallon propane tank. 2 whole house surge protectors. 4 year old roof. Square footage under roof 4893; square footage under air 3719. Square footage thought accurate; buyer to verify. All new floors. Professionally landscaped with inground irrigation system.